It's not just about cookies and camping anymore. The Girl Scouts in the U.S. and Girl Guides in Canada are getting seriously into STEM skills. Girl Scouts Nation's Capital recently teamed up with Hewlett Packard Enterprise to create a new 'cybersecurity' badge. Launched in late January, the curriculum teaches Junior Girl Scouts about online security issues, including protecting their personal information and dealing with cyberbullying. 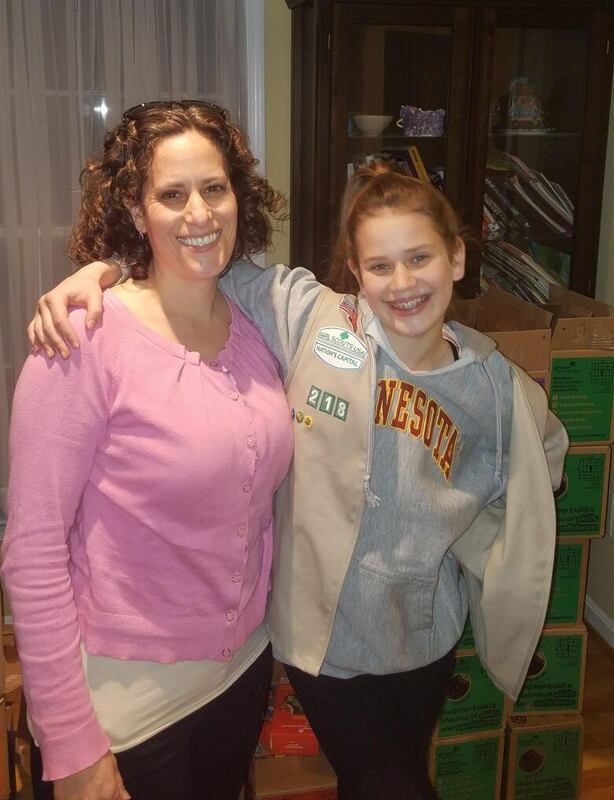 Troop leader Hillary Tabor and her daughter, Maya. (Provided by Hillary Tabor)The new cybersecurity badge is all part of the organization's longer-term goal of bringing more girls into the STEM career pipeline. 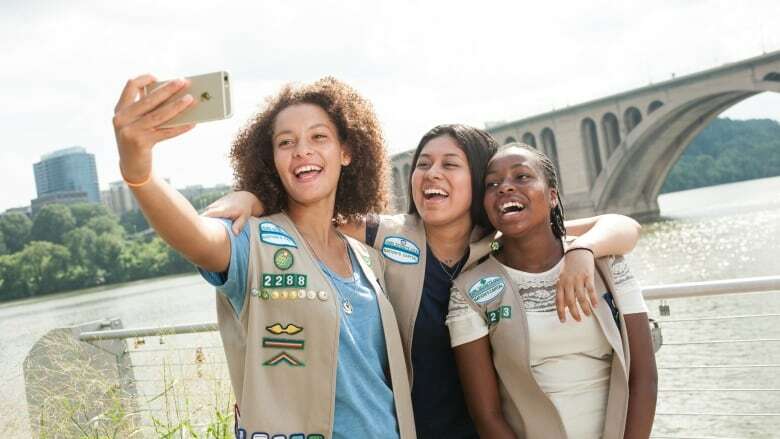 Last year, the Girl Scouts of America introduced 30 new STEM-related badges in areas like environmental stewardship, space science, robotics and other subjects that related to science, technology, engineering and mathematics. Troop leader Hillary Tabor and her group of 14 girls in Maclean, Virgina — including her her 11-year-old daughter, Maya — helped pilot the new program. As a mother and troop leader, Tabor definitely sees the value in cyber skills. "For this generation, everything they do is online," Tabor told Spark host Nora Young. "It's going to be critical not just for them to understand now what's safe for them, but to make sure they don't make bad choices that will impact them later in life." 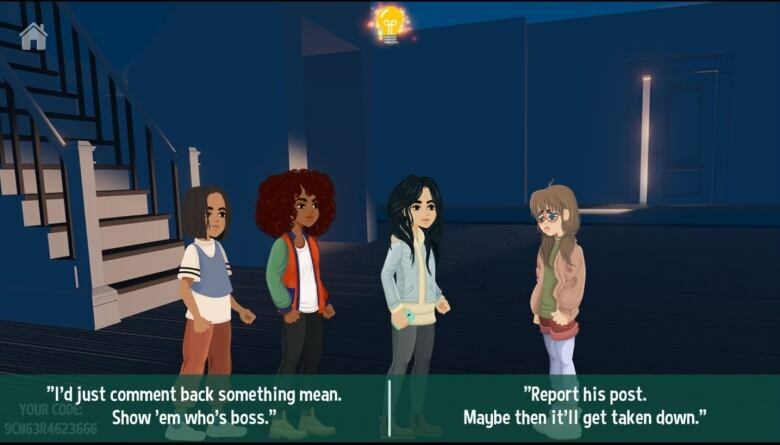 To earn their badge, the girls have to complete an interactive online game called "Cyber Squad" that takes players through real-life scenarios related to phishing and online safety. "I learned mostly about my digital footprint, and how once something is out there you can't really replace it," said Maya Tabor. "I also learned that people aren't always how they seem." So what's harder? selling cookies, or learning about cyber security? STEM-oriented activities are also offered for the 70,000 young women registered as Girl Guides here in Canada. "We've developed content around World Space Week, where girls can learn about space, engineering and robotics, and forensic science," said Krysta Coyle, a postdoctoral fellow in cancer biology at Simon Fraser University, and the Girl Guides of Canada's 'Guiding Ambassador'. 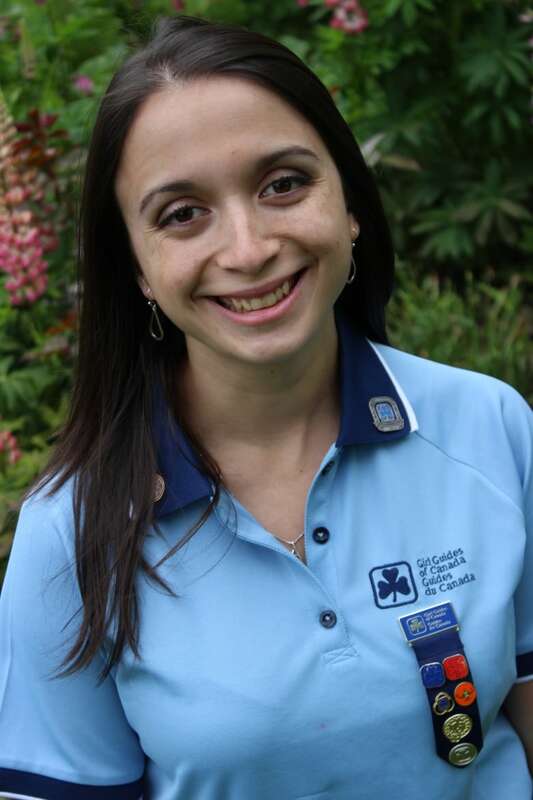 Krysta Coyle is a postdoctoral fellow in cancer biology at Simon Fraser University, and the Girl Guides of Canada’s 'Guiding Ambassador'. (Provided by Krysta Coyle )"Anything that a girl is interested in, we can find content and role models to help deliver that programming." "We have a badge that's called Science Lab, that includes all kind of activities related to science, and we also have a badge called Design Space, which also focuses on learning about engineering and designing things to solve problems." These new STEM-related badges, south and north of the border, reflect a changing world for girls. "A generation ago, girls might've been learning more about needlework, table setting, etiquette and manners, and less of a focus on science and technology," said Coyle. Studies show that children are going online at younger and younger ages. Coyle maintains that digital literacy is going to be one of the most essential skills for kids growing up. "Everything is online now," she said. "So having an understanding of the space we work in, and how to deal with some of the unfortunate things that happen in digital spaces, is an essential skill to develop."